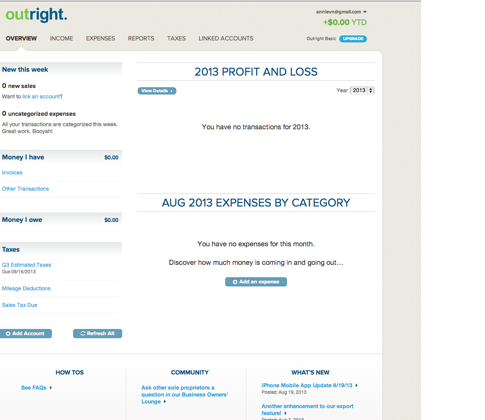 Outright is a web-based cloud accounting service that targets owners of very small businesses. 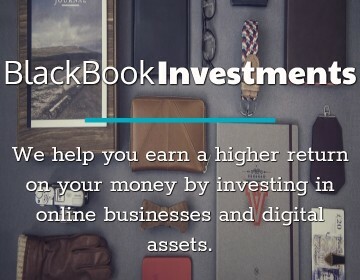 It has an impressive list of features and promises to make accounting and book keeping as painless as possible. Outright tries to keep things simple, and focuses on automation to pull all of the necessary data into your Outright dashboard. Signing up was definitely painless – it took me less than 5 seconds to fill in my email address and a password of choice. 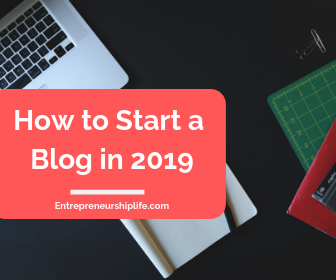 I was signed up and ready to get started. In addition to that, once I was logged in, I could take a tour of the service with imaginary data from an example business. The tour of ten slides gave me fairly detailed description of the available functionalities while keeping me engaged. I did notice the errors in the sample data on slide 2 where the connected accounts were reporting connectivity issues. While it did not confuse me, it could have potentially confused less technically inclined users. My concern with connecting to my bank accounts is always data integrity issues, because it can be a mess to sort out if they download incorrectly. I started with adding my accounts and noticed that security measures were listed right next to the boxes where users filling out their information. I was impressed with the expansive list of accounts I could add, including the ability to search for services that were not listed. The e-commerce and invoicing section, with the inclusion of Shoeboxed and FreshBooks, and the ability to import excel spreadsheets would cover both the tech-savvy and the more conventional customers. Other features I loved included editing multiple transactions at the same time, splitting expenses, and grouping sales by states. This is handy for breaking up and categorizing expenses. Once the accounts were linked up and the various tabs were populated with the expenses, being able to modify multiple transactions at the same time with the “Edit Multiple” button helped speeding up the initial imports of a number of accounts. I had given up on using Mint.com after getting tired of having to edit every transaction separately as part of the first sync up. I imagined it would help with the day to day updating of transactions as well. Splitting expenses was useful because business transactions were often grouped and according to your blog, this feature was an answer to popular requests from customers. The splitting process was intuitive and straightforward. I figured out how to use it right away without having to refer to any instructions. Lastly, grouping sales by states could serve as the most rudimental data mining tool for how well a product or service was performing geographically. However, I wish they had taken this feature further and let the users choose how big or small of a geographical area they would like to see the sale grouping. For example, what if I only sold to the five biggest cities in Washington State, or maybe my customers were in Vietnam, Singapore, and Thailand. While an iPhone app was available to download and free. I was disappointed that it was not a universal iOS app. iPad was just as popular a mobile platform and while traveling, either for business or pleasure, being able to use an app on the iPad to do bookkeeping (instead of having to open up a laptop, but having a screen bigger than my phone) would be a plus. In addition to that, the download iPhone app button was always positioned at the bottom of the page. For several pages, scrolling was required before the button was visible. (See the screenshot below) I spent half an hour on the website before I realized the existence of the iPhone app. Mobile apps, if available, deserved to be advertised more clearly and prominently. As I was going back and forth between the page for help and community and my dashboard page as part of the learning process, new tab kept opening. Next thing I knew, I had 8-10 tabs open from Outright. While I understood that the change requires switching from http to https, keeping the open tabs to two would have been preferred. A website constantly opening new tabs is a pet peeve of mine. Lastly, the pricing for the service was definitely a winning point. 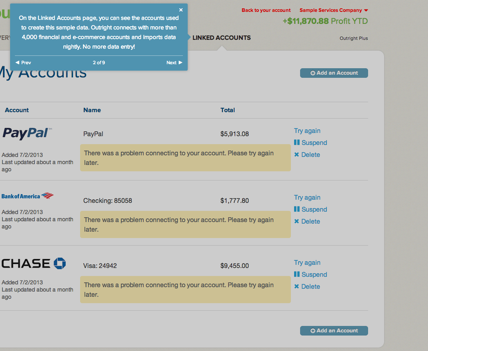 At the time of review, Outright had two pricing options – free and $9.95 for Outright Plus. Both monthly and yearly subscription fees were some cheapest ones I could find. The Outright Plus has more features that a free account – if you want access to sales tax tracking and more reporting, you have to opt for the Plus. Let me open this up to you to leave a review and tell us what you think about Outright Cloud Accounting Software.